A Florida nursing home is under investigation for negligence following the death of a resident. Wilbert Henry Moten died from prolonged exposure to the blazing Florida sun. Mr. Moten, a wheelchair-bound resident of GraceWood, was left outside for several hours on a sunny day when temperatures nearly reached 90 degrees. After he was found, staff from the nursing home took him to a hospital, where he was treated for second-degree burns, blisters, and dehydration. The hospital noted that his skin was hot to the touch. Mr. Moten died from heart failure while he was in the hospital. Although he was only 65 years old, Mr. Moten had experienced mental health issues as well as being confined to a wheelchair, and had been a resident of GraceWood for several years. Because Mr. Moten had no family, he was represented by a healthcare proxy, who made medical decisions on his behalf. Fernando Gutierrez, who served as Mr. Moten’s healthcare proxy, had left instructions with GraceWood that the nursing home contact him if there are any incidents involving Mr. Moten or any of his other clients living there. However, he was notified of Mr. Moten’s death by the hospital, not the nursing home. Additionally, the authorities were not called until 9:45pm that night. They are looking into the matter to see if Mr. Moten was a victim of abuse and negligence. Others who have had contact with GraceWood are critical about the care residents receive. One man moved his mother out of the home just 10 days after she entered, citing his displeasure with the way the staff treated her while she was there. Another guardian moved his client out after she fell an astonishing 18 times in less than a year. No elderly person deserves to live in a facility where they are abused, mistreated, ignored, or put in potentially dangerous or life-threatening situations. 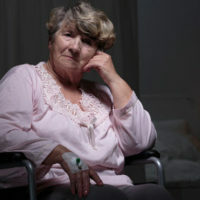 If a member of your family has been exposed to deplorable living conditions in a negligent nursing home, you may want to speak to a skilled attorney about your situation. Gillette Law, P.A. has a presence in both Georgia and Florida; our attorneys have years of experience holding negligent nursing homes accountable for their unacceptable actions. Call us today to see how we can help you.